Lived in the city of Kremenchuk of Poltava region. Had his own business, making renovations of apartments. His hobby was diving. Since 1992, Ihor actively participated in the life of civil society, took part in campaigns to support the independence of Ukraine. Was on Maidan from the very first days of protests. Was a member of self-defense troops. Took part in the rally under the building of the Supreme Council of Ukraine. 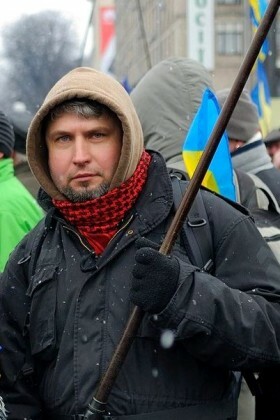 Was killed on February, 18 on the crossing of Instytutska Street and Kriposnyi Alley. Survived by his wife and a daughter.